We’re spending some time by the ocean and here’s what we had for dinner the other night. Just a perfect dish for anytime , but the dish was really good for a little vacation time! It’s so easy and packed with lots of flavor. I like it with a little more heat so I added more chipotle peppers. 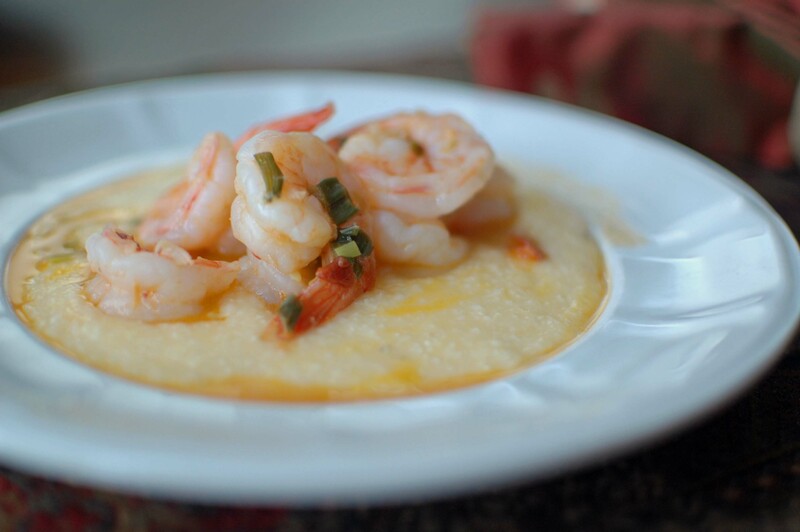 Don’t wait for vacation to try these shrimp and grits now is the perfect time. Happy Thanksgiving to you! In a medium pot, cook grits according to package instructions. Stir in cheddar and season with salt. Meanwhile, in a large skillet, melt 1 tablespoon butter over medium. Add scallions and chipotle and sauce; cook, stirring, until scallions are tender, 4 minutes. Add shrimp and cook until opaque throughout, 3 minutes. Stir in lime juice and remaining 2 tablespoons butter and cook until sauce is slightly thickened, about 2 minutes. Season with salt. Top grits with shrimp and sauce. Here they are as leftovers which by the way are great!